I can work remotely to administer your moodle and assist you to get the most efficient use from the system to benefit your online trainers and learners. Site Configuration - Themes - Plugins - User Authentication - Course design - Create Learning Activities - Resource Uploads - Conditional Activities - Certificates - User Analytics - Gradebook Design - Shopping Cart Integration - Moodel Training - e.t.c. 2. On the basis of what we discuss, I'll advise you on a way forward with your moodle and the number of hours I'll require to provide you with the moodle admin support. 3. We agree the timescales in which the moodle admin work should be completed. Tell me your moodle admin problem and direct me to your site. Initially provide me with a user account that allows me to experience your moodle site but don't give me administrative access until you're comfortable with the discussions we've had and you'd like me to carryout your moodle admin work. 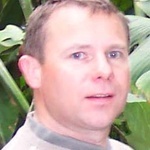 Peter has been instrumental in the development of our course. I felt confident following his recommendations & I am glad I did, as the course as exceeded our expectations. Hire Peter, forget the rest! Quickly identified issues and resolved. Excellent service. Peter has been wonderful. I feel very safe knowing that he is looking after my moodle site for me. He instantly found a hole in safety and has already fixed that for me. He is very professional and I really like the way in which he details his proposals. They are so easy to follow and understand and this makes a huge difference for someone like me who is not an IT whizz! I would not hesitate to recommend Peter to others.